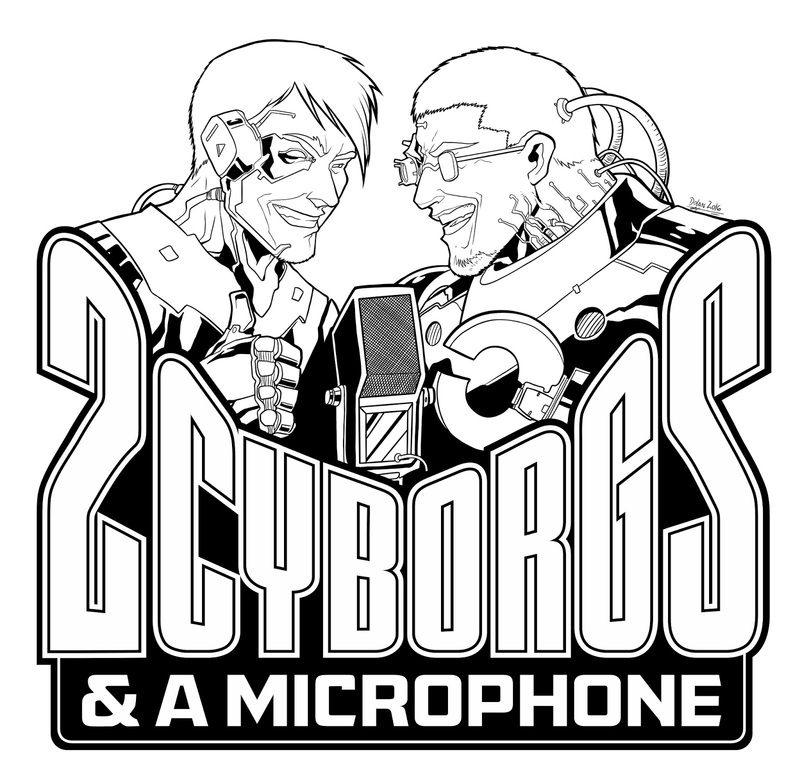 2 Cyborgs and a Microphone was a show about movie reviews this week. We reviewed Upgrade, a cyborg-flavored action movie, and Realive, a fictional look at cryonic preservation. Fair warning; we gave spoilers for each movie. Here is our unedited video recording (30:51) and here is the show page for the edited podcast with episode 056. This robot seemed like a neat study in movement through unusual techniques until I saw it scuttle around the floor and it looked so organic that I wanted to write about it. It was pretty ingenious. 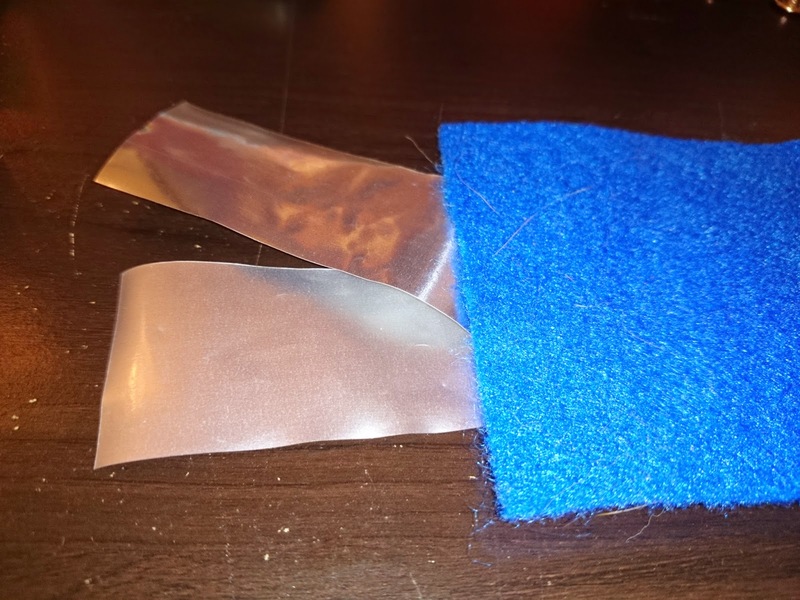 It was also similar to a technique used by NASA but it had some advantages over their robot. I knew this had to get written even though it sounded like a bit of woo. 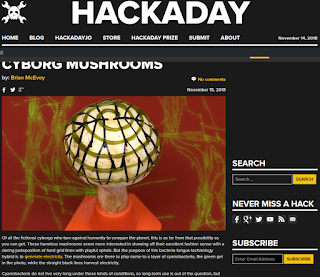 Mushrooms were being used to host cyanobacteria which produce electricity and that electricity was being harvested by graphene ribbons. 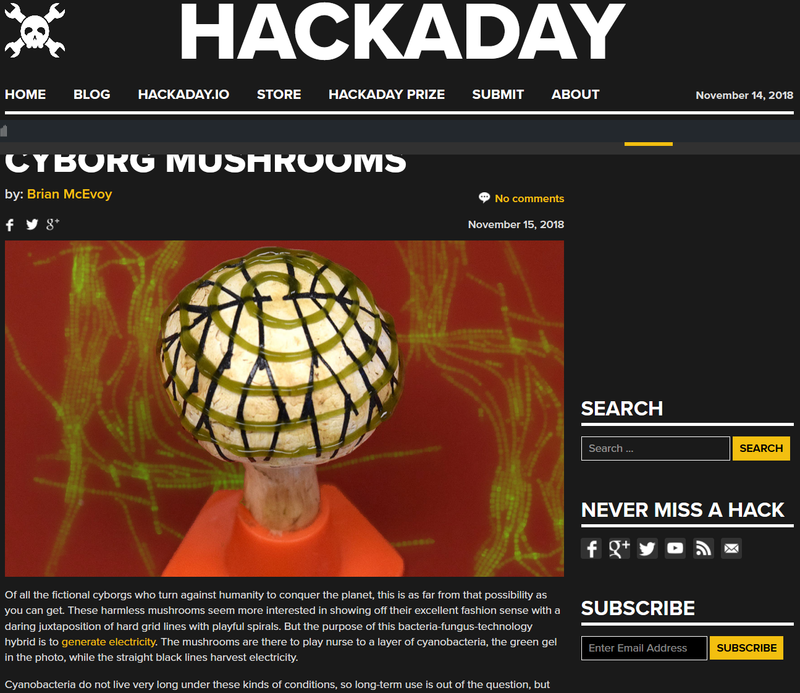 Hence, cyborg mushrooms. A day was spent with a teammate from Team Magnet Fish Spectacular making a motor mount from wood, MDF, and steel. 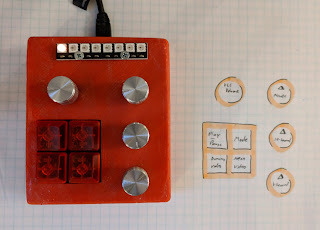 In the end, we made something robust and usable. The whole team got together to build more parts for the fish pond. Luckily, there was a workshop in the basement of the team captain, so most of the parts were right there. Transporting the pool in my car was not easy. It probably won't hold water anymore. I spent some time, and money got a special nut which would adapt to the left-hand threads of the motor. More hardware was purchased from the hardware store to attach a wheel to the axle. It spun well once attached.